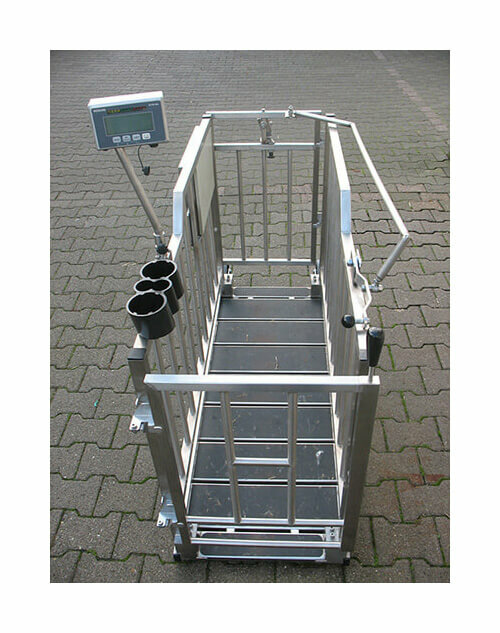 Product information "Calf scale 1-2-3 Animal scales"
The calves scale has a stainless steel construction. 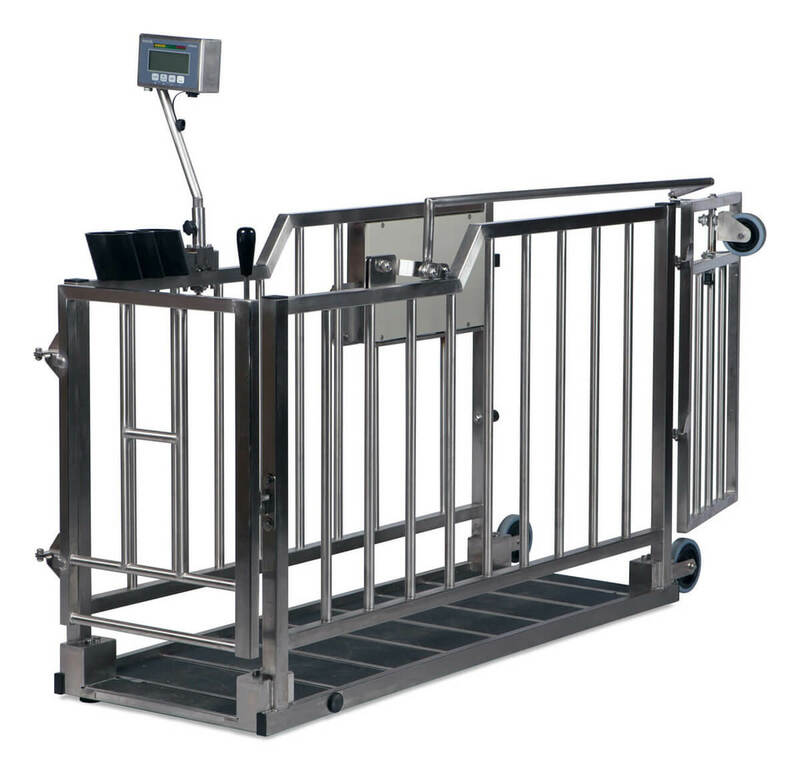 The extremely low step height of 35 mm is a suitable height for the animal and saves time during weighing. The slatted floor supplied as standard prevents excess dirt from collecting on the scales and makes them easier to clean. 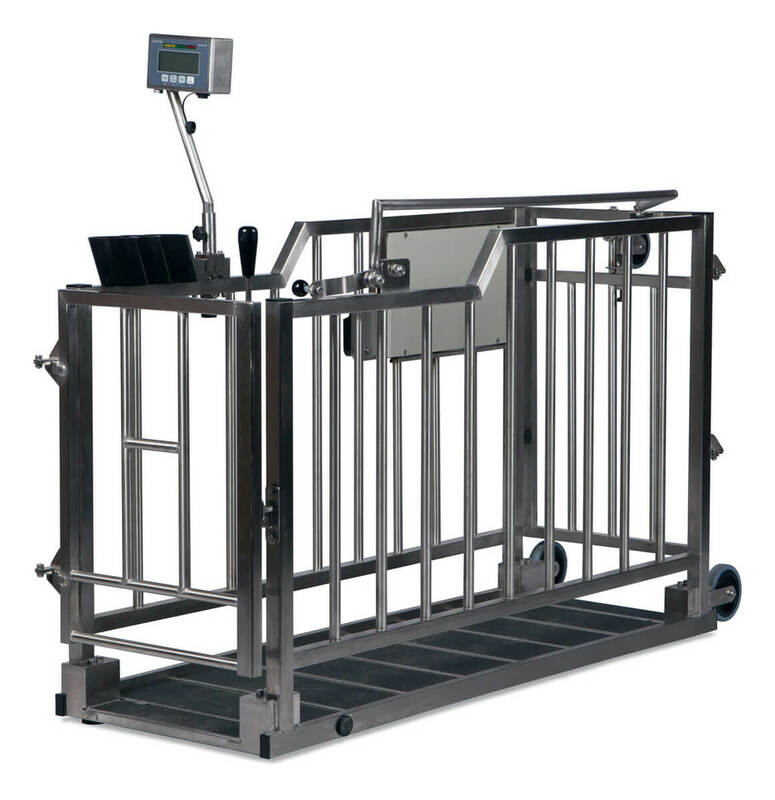 A retractable guide wheel is integrated in the gate, which you can fold out easily to transport the scales in an upright position. 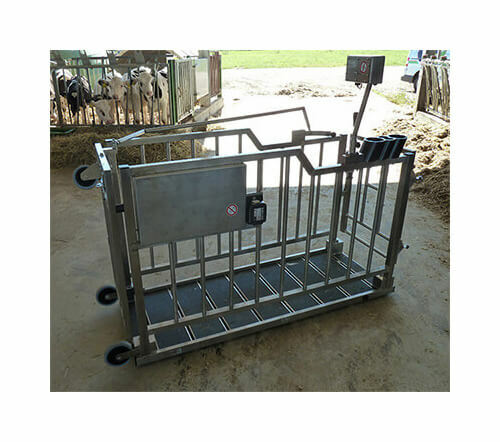 The lowered front part makes the calves scale appear low and because of the clear view through the latticed side panels the animal has no cramped feeling. The indicator can be folded in to provide extra space and protect the device. The extra large transport wheels handle particularly well on uneven ground and slatted floors. The four stainless steel load cells are laser-welded. 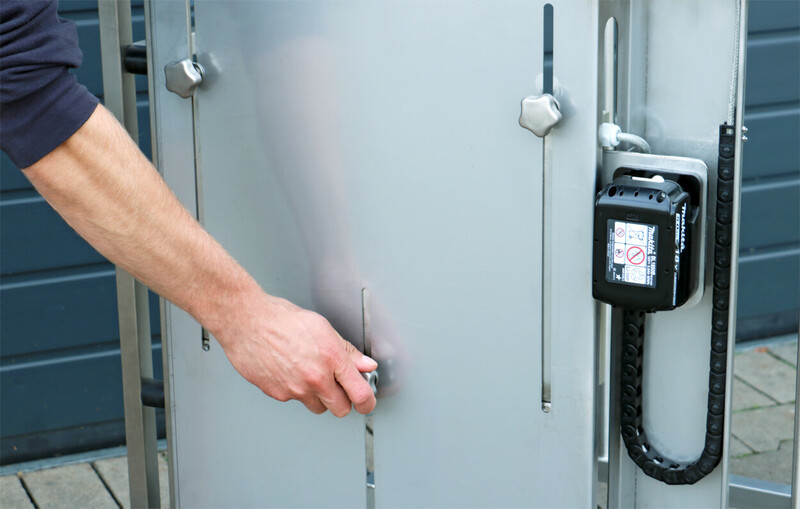 As with all BOSCHE scales, all the cables and load cells are laid in the frame and therefore protected against damage. 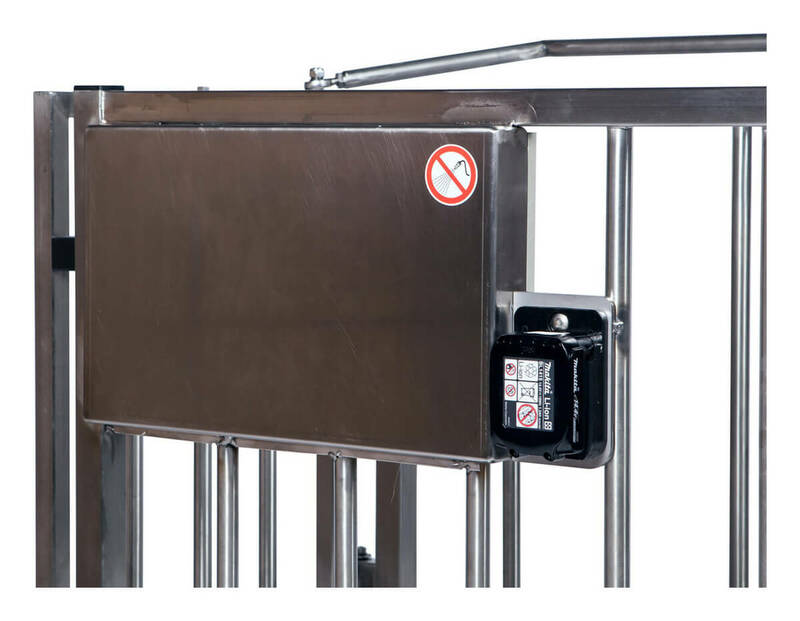 The indicator has been developed specifically for the 1-2-3 animal scales and comes in a stainless steel housing. A special software program is provided that works out a stable average weight, even when the animal is moving around (restless animals), and enables you to determine the exact weight. The 30 mm digits are backlit and can be read clearly from every angle. The 1-2-3 animal scale is battery-operated and equipped with the Förster-Technik Mulitreader (FDX / HDX - antenna). 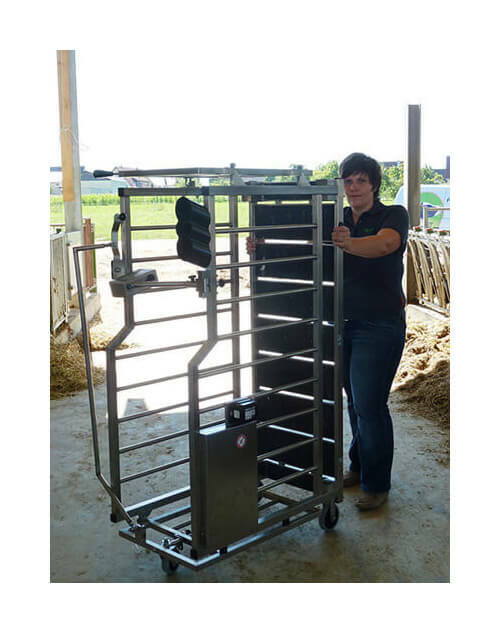 This allows a simple storage of the animal weights with the associated ID numbers of the calves. The data can be easily transferred to the PC by means of a USB stick. On the PC, the data can be output to an Excel list or imported to the KalbManagerWIN. Via the KalbManagerWIN the data can also be transferred to the calf feeder. Only one person is required to weigh the calves due to the lever mechanism (remote unlocking) used to open the front gate. 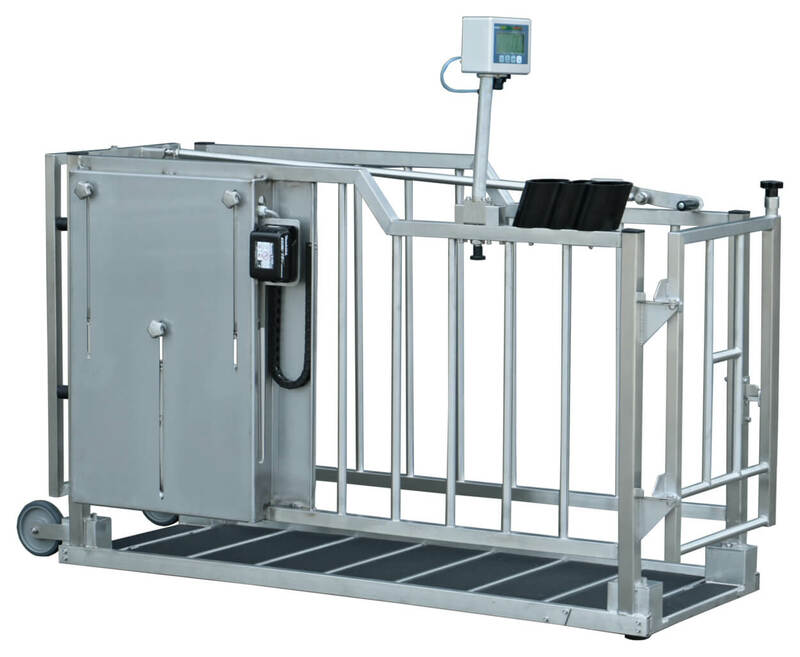 The indicator has been developed specifically for weighing animals. The display and keypad are reduced to a minimum and do not have additional confusing functions. You switch it on, weigh, store the data and that's it. You can transfer the data to the USB stick at any time. 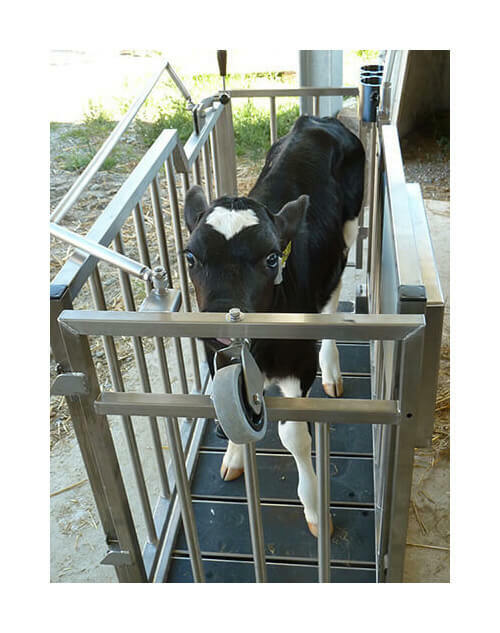 Related links to "Calf scale 1-2-3 Animal scales"